Hours after they looted and set fire to a National Guard command post in this sun-baked corner of Venezuela earlier this month, a mob infuriated by worsening food shortages rammed trucks into the smoldering edifice, reducing it mostly to rubble. The incident was just one of numerous violent clashes that have flared in pockets around the country in recent weeks as Venezuelans wait for hours in long supermarket lines for basics like milk and rice. The queue is a consistent feature of life under socialism. 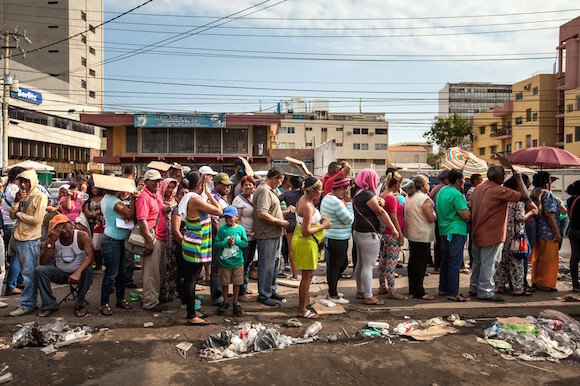 I wonder how many of the people standing in Venezuela’s food lines have any idea why that is. “It’s a national crisis,” said Marco Ponce, head of the Venezuela Observatory of Social Conflict, noting that unlike the political protests of last year, residents are now taking to the streets demanding social rights. The nonprofit group recorded 500 protests over food shortages during the first half of 2015, 56 looting incidents and dozens of attempted lootings at grocery stores, pharmacies and warehouses. More than 6,000 alleged smugglers have been arrested this year, according to the attorney general’s office. Images of soldiers posing with handcuffed suspects and stacks of decommissioned goods are splashed on state media. “We’re going to get to the root of the problem,” Mr. Maduro said in a national address last week after a shootout with smugglers in the frontier state of Táchira left three National Guard troops injured and pushed Venezuela to shut key border crossings. There is, of course, no chance of Venezuela’s socialist regime getting to the root of the problem. What is the issue with smugglers? They buy price-controlled food in Venezuela and sell it in Colombia at market prices. The problem isn’t the smugglers, it’s the price controls. While the government blames the shortages on bachaqueros, economists say they are the consequence of price controls and a broken economic model that has left average Venezuelans with diminishing employment options. Well, yeah. How many times does this lesson need to be learned? “The people that used to give us work—the private companies, the rich—have all gone,” said Ms. Palma in La Sibucara…. Hey, that’s the way the government wanted it. Now Venezuelans are experiencing “bad luck,” as Robert Heinlein put it. 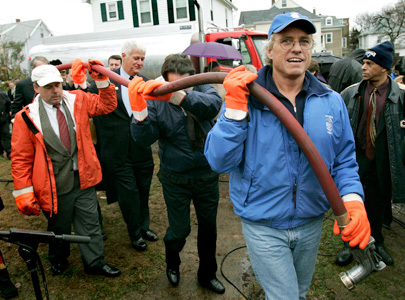 Former U.S. Rep. Joseph Kennedy II offered his prayers Tuesday to the family of late Venezuelan President Hugo Chavez, saying he cared deeply about the poor and helped nearly two million Americans through the former lawmaker’s heating assistance charity. I don’t think Kennedy has commented lately on the state of Venezuela’s poor, now that they are suffering the consequences of 15 years of Chavismo. For cluelessness, Kennedy is rivaled by the United Nations, which in June honored Venezuela for its “notable and exceptional” efforts to combat hunger. 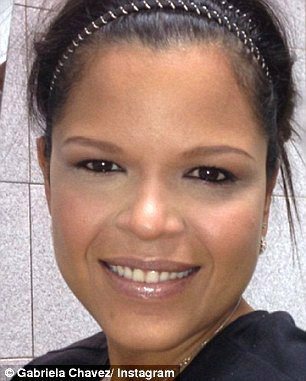 As we noted here, one Venezuelan who isn’t going hungry is Chavez’s daughter Maria Gabriela, who through sheer corruption has a reported net worth of more than $4 billion. She is even richer than Joe Kennedy, as opportunities for graft in a socialist country are far greater than those available in a free market economy, even one as compromised as our own.